Read this before you send your next email request; it could double your replies. Sending email to busy people is a skill we all need, with email being such a convenient communication tool that almost every one uses. No matter for sponsorships, possible new business collaborations or any favour, email can be used for a multitude of requests, sent to complete strangers. I still advocate calling on the phone if possible to be really personable, but sometimes you just don’t have the time. A quick email is the best way to reach a large targeted audience, especially if you are not as confident talking on the phone. However, there are still rules to observe. As businessmen, we also receive many email solicitations everyday, and it irks me that so many are poorly written and makes me reach for the thrash/spam button almost instantly. Here are some tips to help you write better email requests when you need something from someone, especially when you send to BUSY people. This is such a no-brainer, but many people continue to commit this mistake, especially the students who mail me lengthy ‘sponsorship requests’ plus a 10 page attached file. As if I’m going to read that. If I receive a long essay request I usually do 1 of 2 possible things: either ignore it, or if it’s from an interesting organization, skim through the headlines. Most of the times, emails don’t even have proper headlines to skim through, so its usually ignored. Influential people who can offer you something are usually busy people. What makes your email so special that they have to spend 10 minutes reading it? There would be literally no loss to ignoring your email. Send short, to the point emails. Don’t offer more information then is needed, like the history of your event/club. If your target is interested, they will ask for it. And when they ask for it, it becomes permission marketing; they have given you permission to market to them. So when you do send whatever information you wanted them to know, its not unsolicited request, but becomes exactly something that they asked for. This is another big, big mistake. People always ask for huge favours without even offering anything in return. This ruins your first impression, shows you don’t understand business as well as basic courtesy. Would you go up to a stranger on a street, ask them for money in return for nothing? Then why would you do it in an email? You might be thinking about charities and donations, but that offers the donor a spiritual, altruistic return for a good deed done. However, you aren’t saving orphans in your email. You have to answer the question of ‘what’s in it for them?’ The majority of the email has to be about the benefits to your target, and not about how they can do you a huge favour for free. If you can’t think of anything in return before asking for a favor, don’t ask for one. We can tell when an email is CC-ed to multiple people, even if it’s a BCC, by how generic sounding it is. Some people don’t even bother using BCC, and just show the email of everyone they emailed in the address line. I find this extremely rude as it makes me feel like one of the fishes in the ocean you’re trying to catch. With a net. Personalize your email at the very least. Address it directly to the person/company you want to reach. Don’t be lazy and send the same blast to every prospect, because that makes us too lazy to reply you as well. Even better, customize the message and mention something that is specific to the person or company of interest. People want to know that you have done your research in selecting who to approach, and you’re not just any random cold prospect. Unless you’re a huge establishment with people clamouring for your attention, don’t act like one. You’re the one that needs a favour, so make the effort to get it properly. Honestly, sometimes I miss emails that I would love to respond to, because of the sheer volume I get. If you’ve practised all the proper steps, addressing directly to someone, customizing the content and keeping the letter short yet still not get a response, follow up with another email. Don’t send the exact same email, DUH. Send another email referencing the previous email, and ask if they had received it. Give your target the benefit of the doubt that they missed it, or it somehow didn’t make it through the spam filter (which really does happen for some companies). Influential people get tons of email daily, and it is certainly not strange to miss some or even plain forget to reply after reading. We’re still human in the end, so give us a chance too! 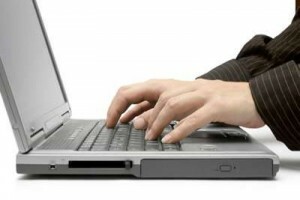 If you found these email tips helpful, please share this article. Many people need to read this before sending their next email that only ends up in the thrash.